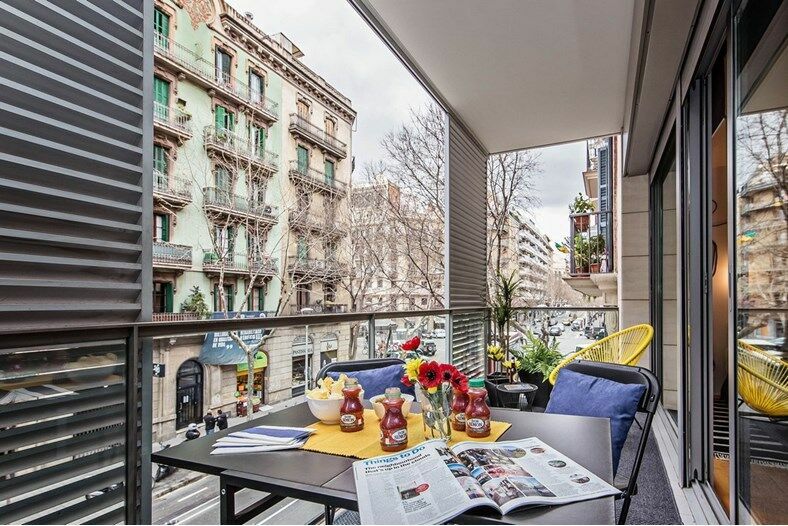 Delicat Calabria apartment is located in Barcelona and was presented for rent by Sweet Inn. 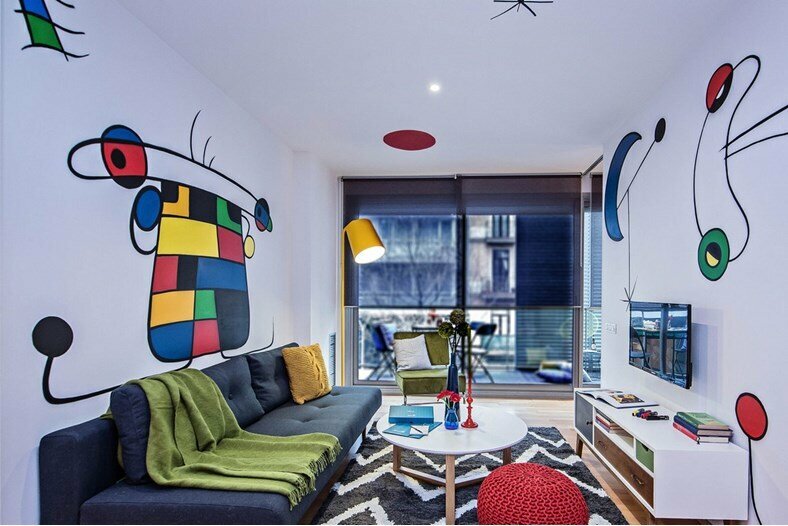 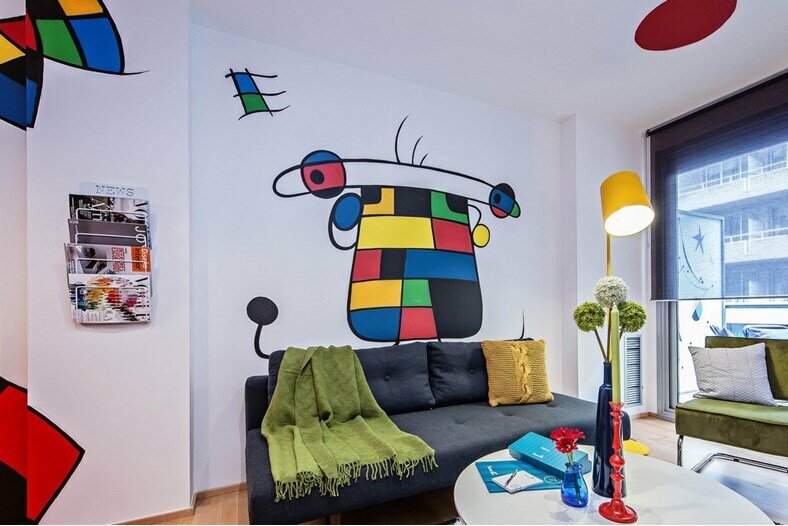 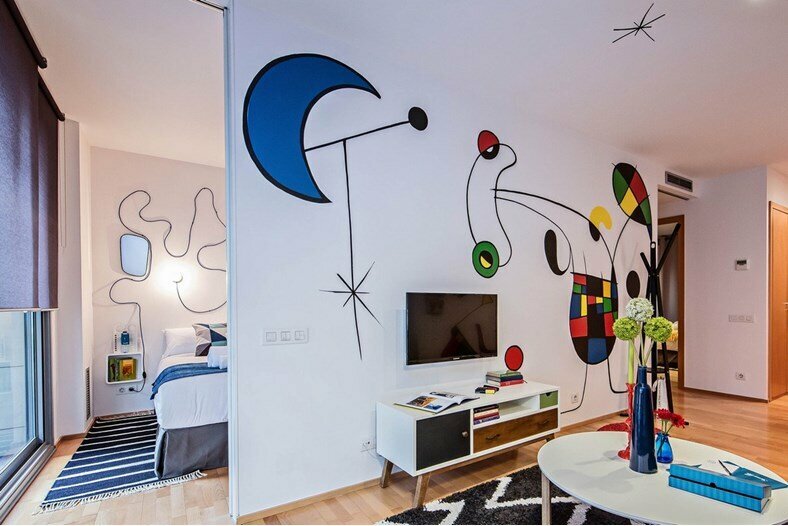 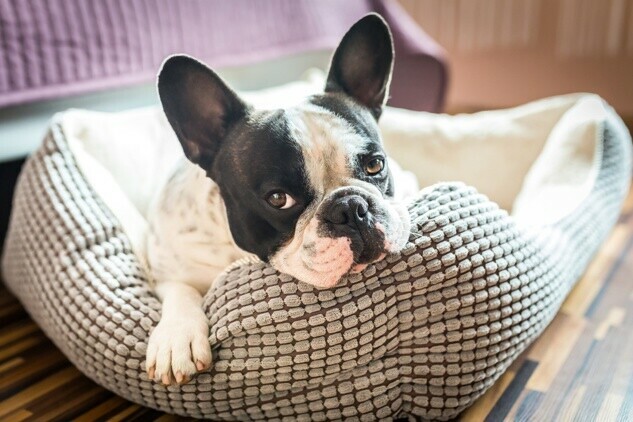 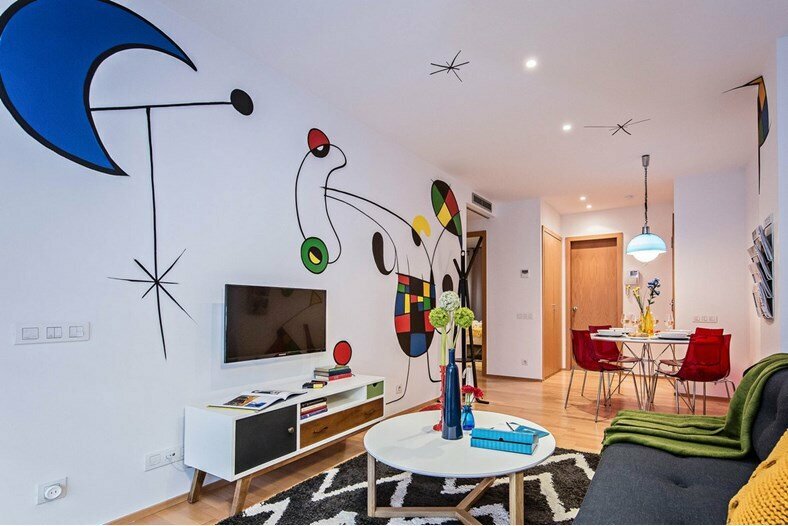 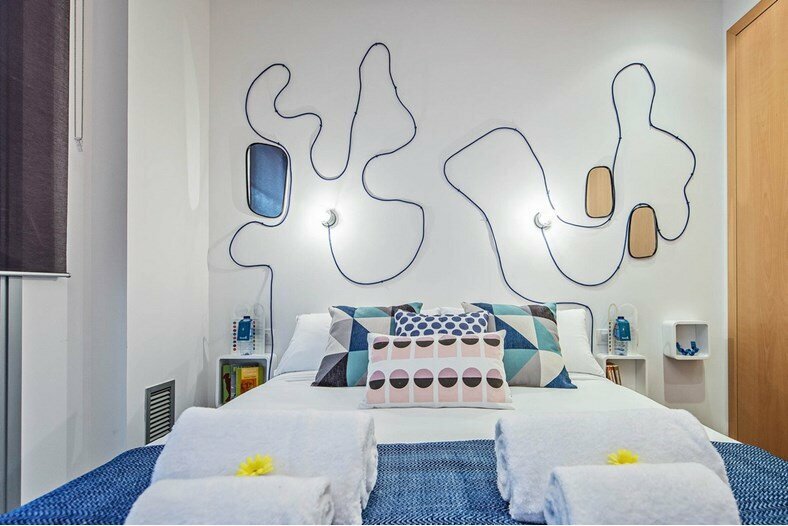 Description by Sweet Inn: Found at Eixample left in Barcelona’s central district, this apartment is a beautiful space infused with a modern, eclectic design. 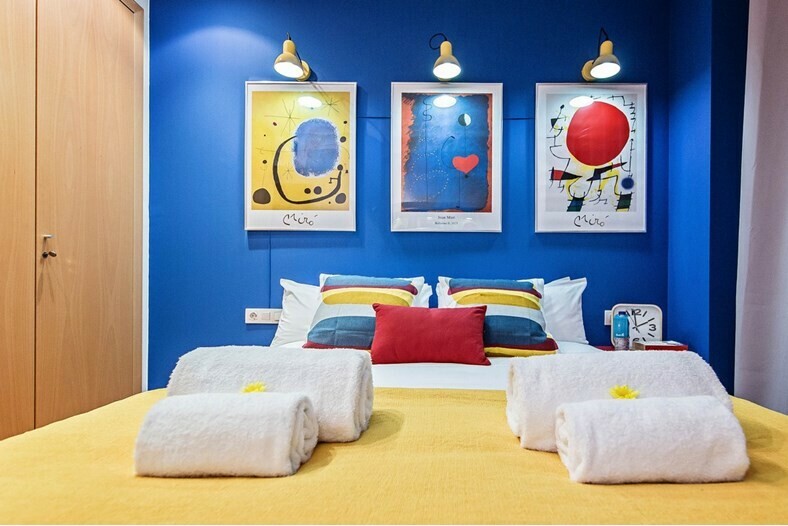 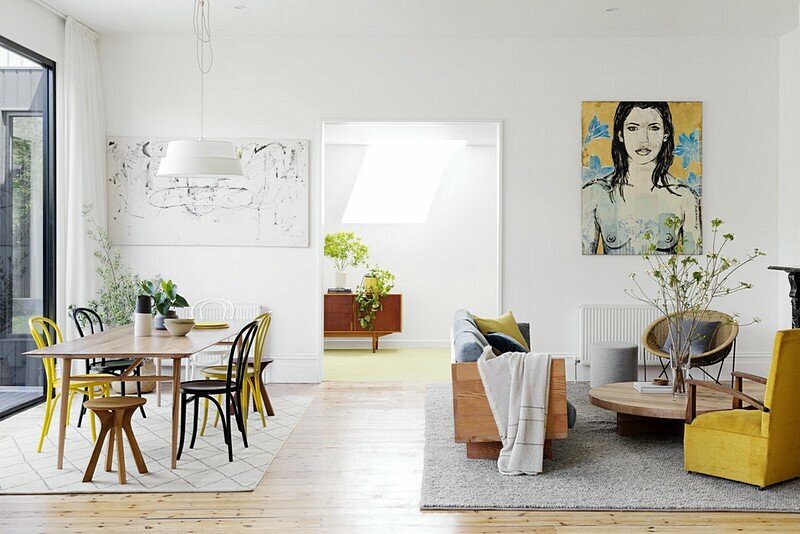 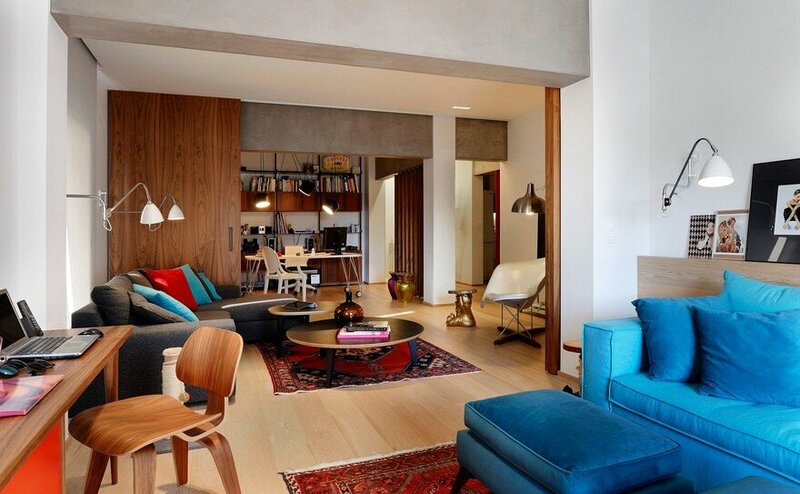 The interiors are characterised by cool Scandinavian tones interspersed by accents in warm red and mustard yellow. 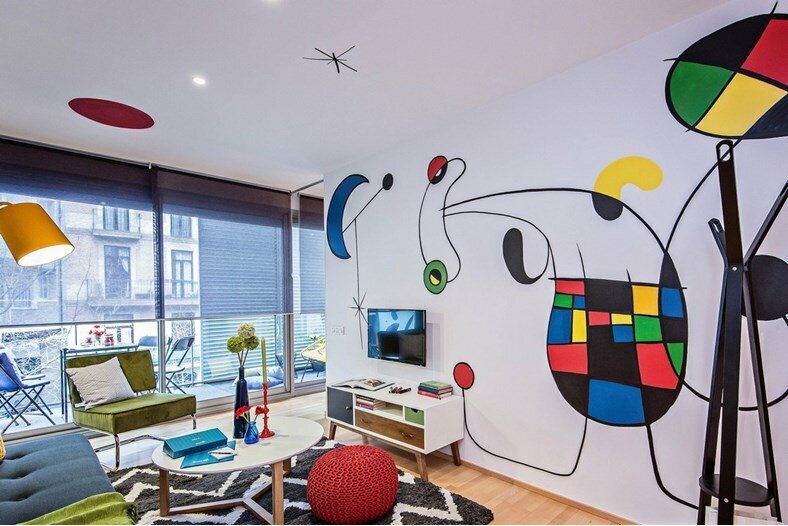 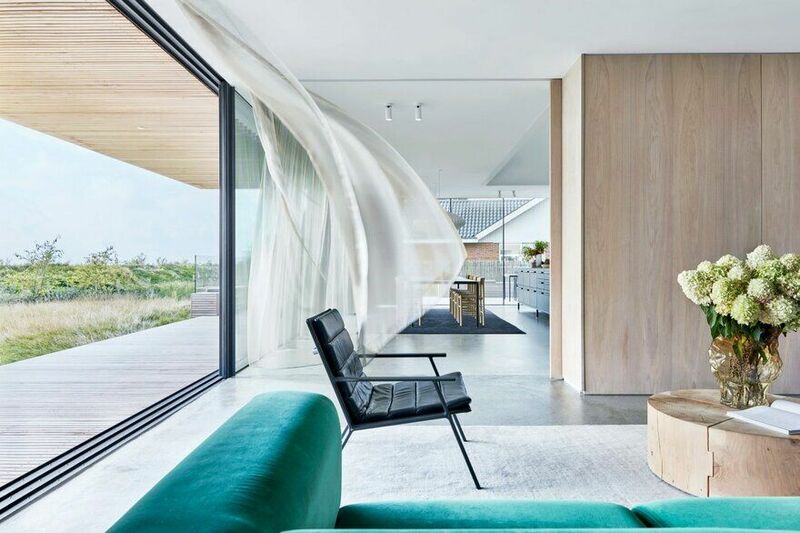 This elegant colour palette is offset by a bold abstract wall painting that dominates one wall. 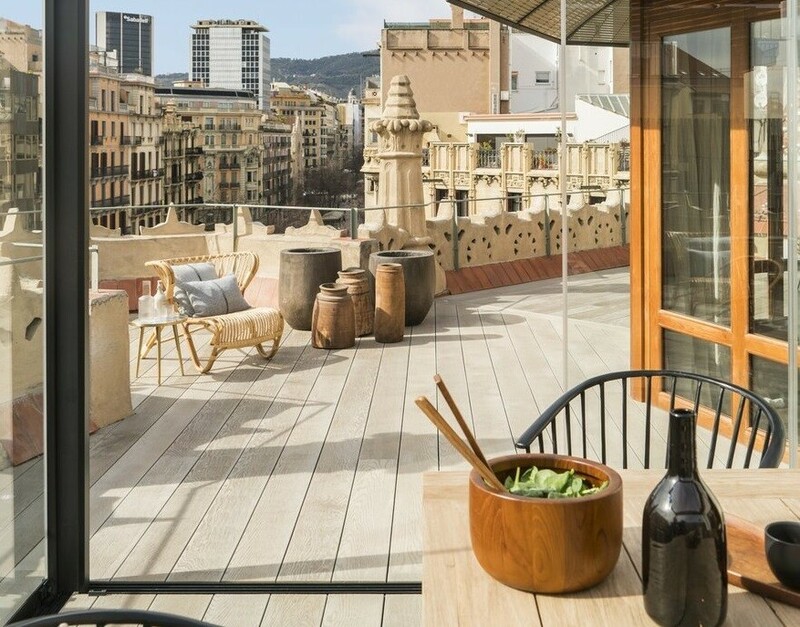 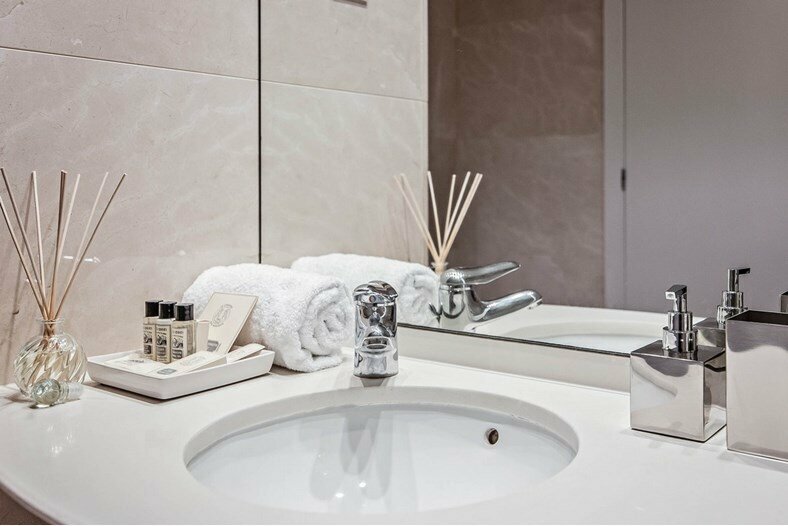 With a recently renovated kitchen, spacious rooms and a charming terrace with a street view, the apartment is the ideal place to relax and revive in the heart of Barcelona. 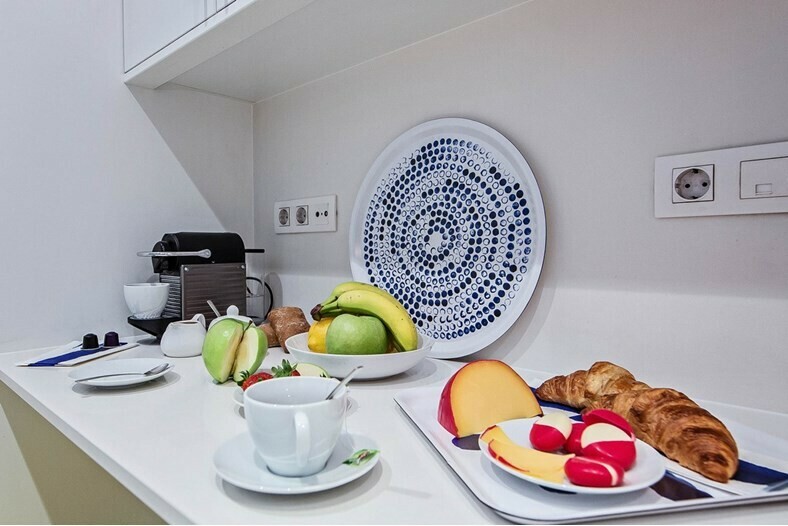 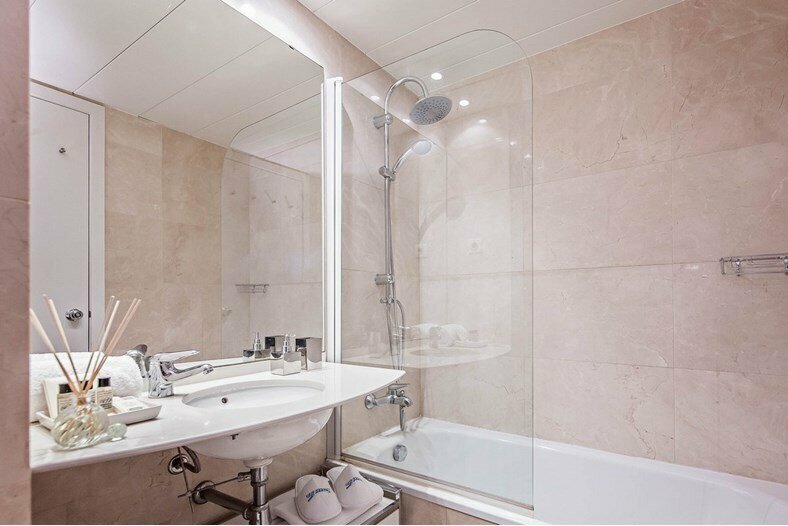 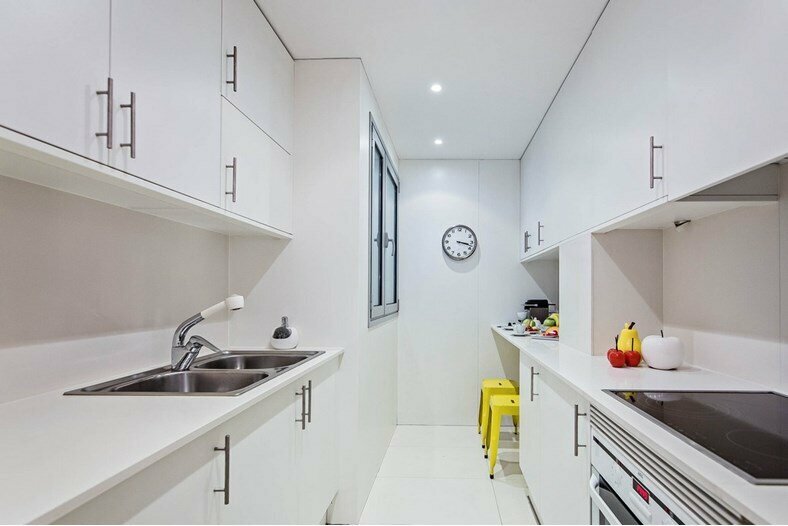 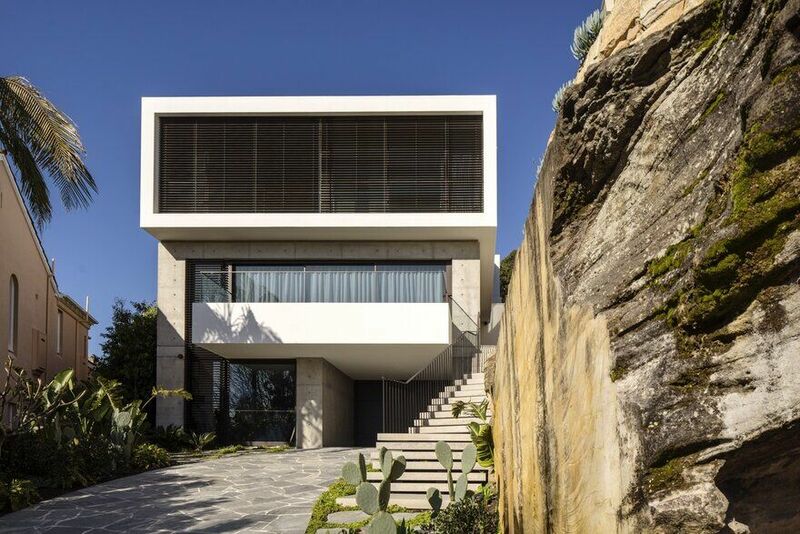 You will find an ideal balance between the advantages of a hotel and a home in the light filled apartment. 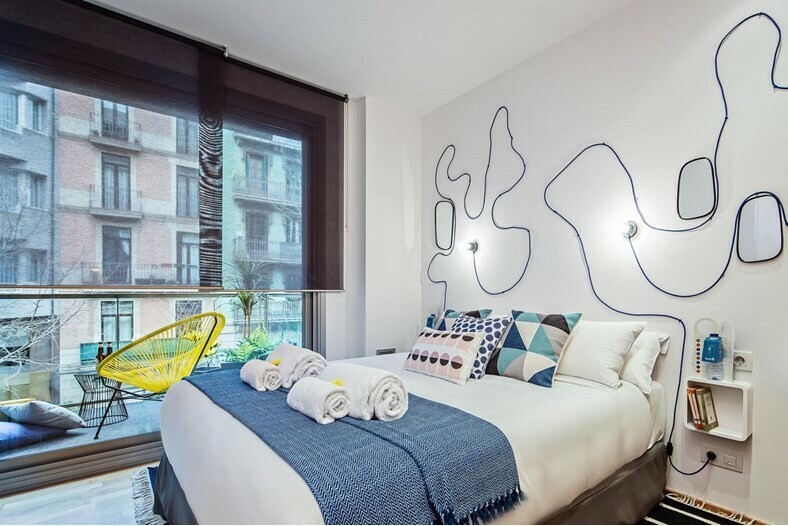 The apartment is situated in a restored, 19th century building with elevator access and modern amenities. 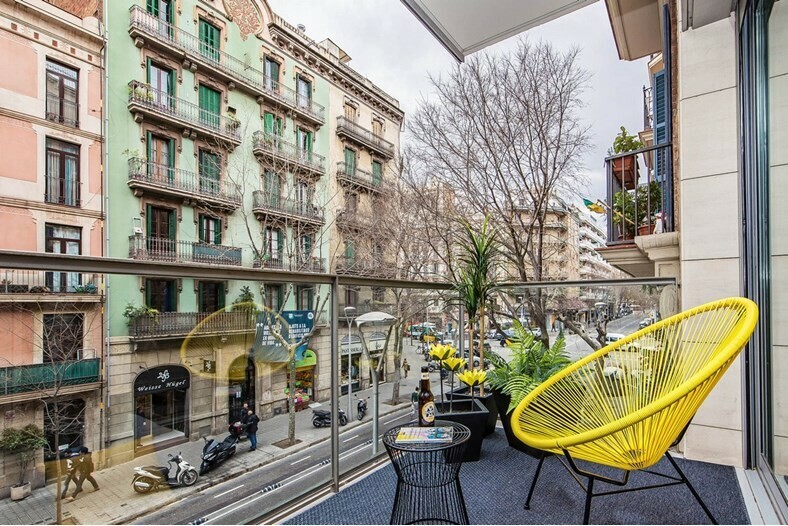 Find yourself in an elegant environment just a few steps away from Barcelona’s vibrant local life. 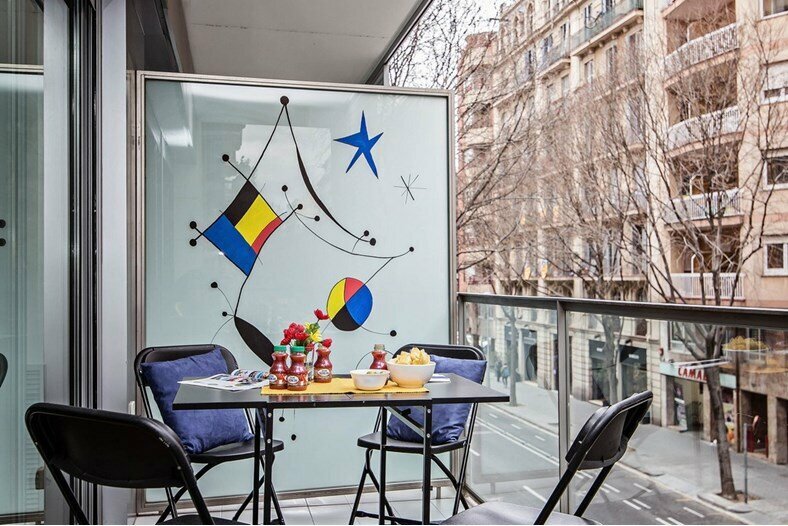 The apartment is situated close to Gran Via Avenue and is a five minute walk from Paseo de Gracia.